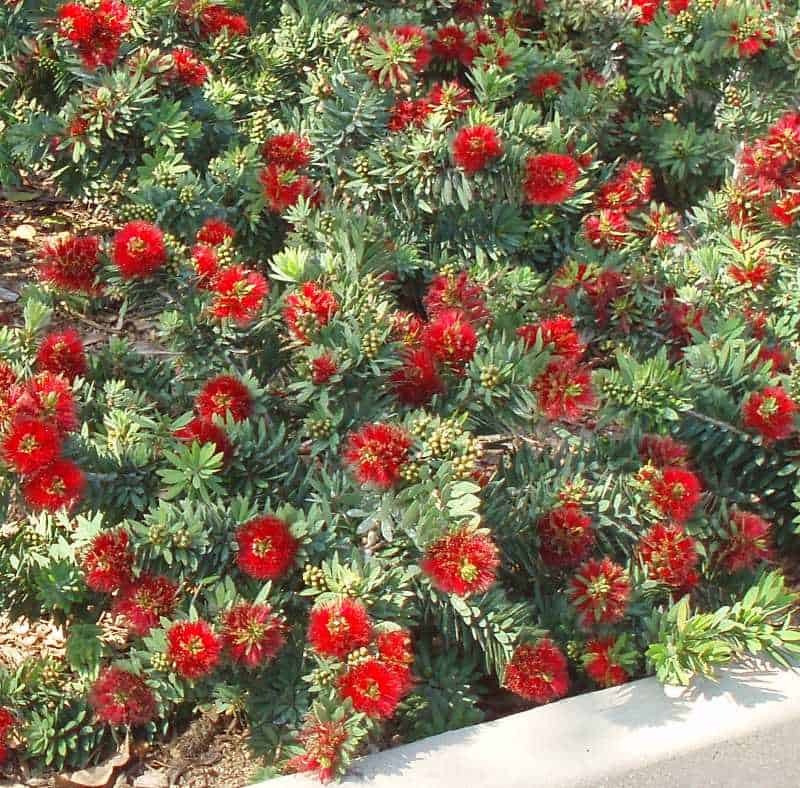 Dwarf bottlebrush to 3 ft. tall and wide, with dense growth pattern and blood red flowers in fall, winter, and spring. Great for planting in gardens, as a low hedge, as a border, or near water features. Attractive to hummingbirds. Can tolerate wide range of water.